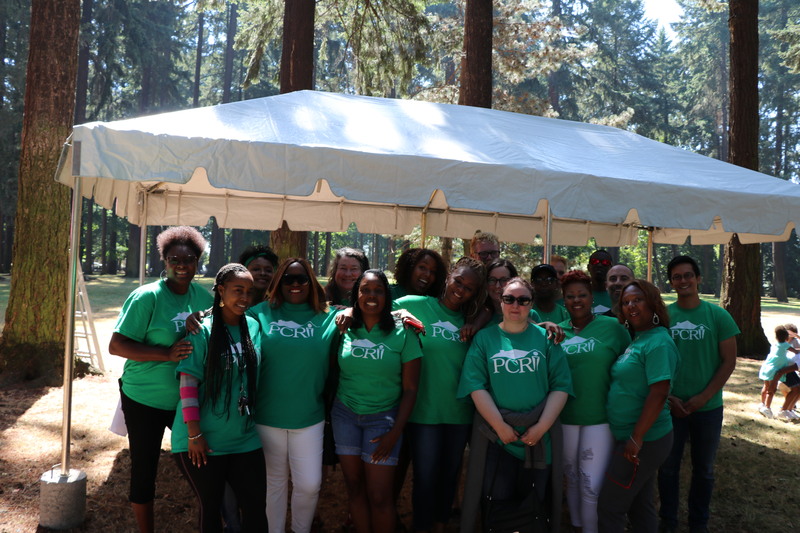 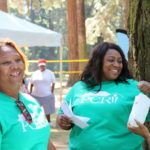 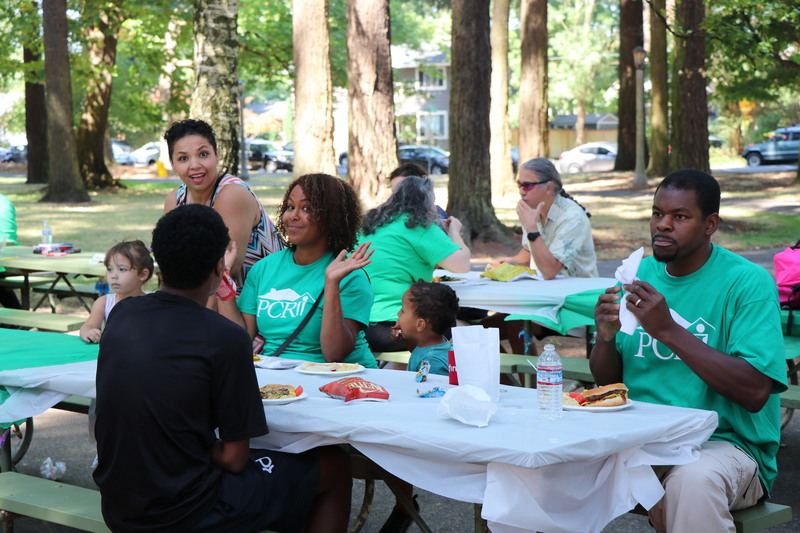 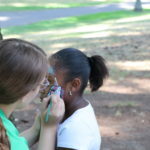 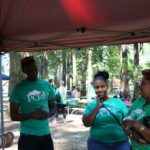 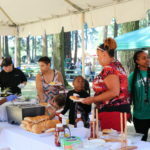 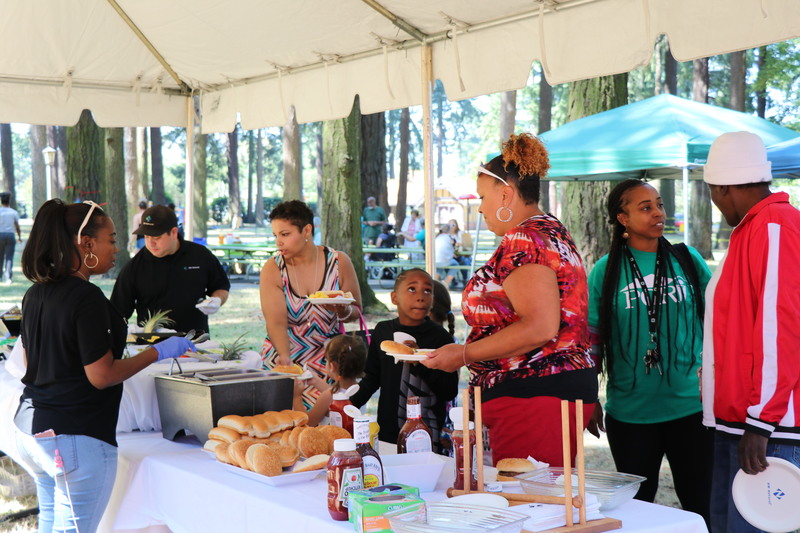 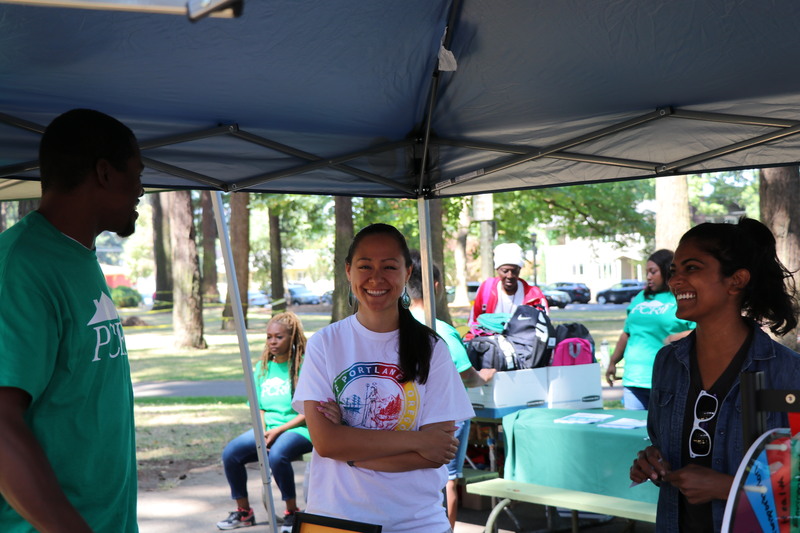 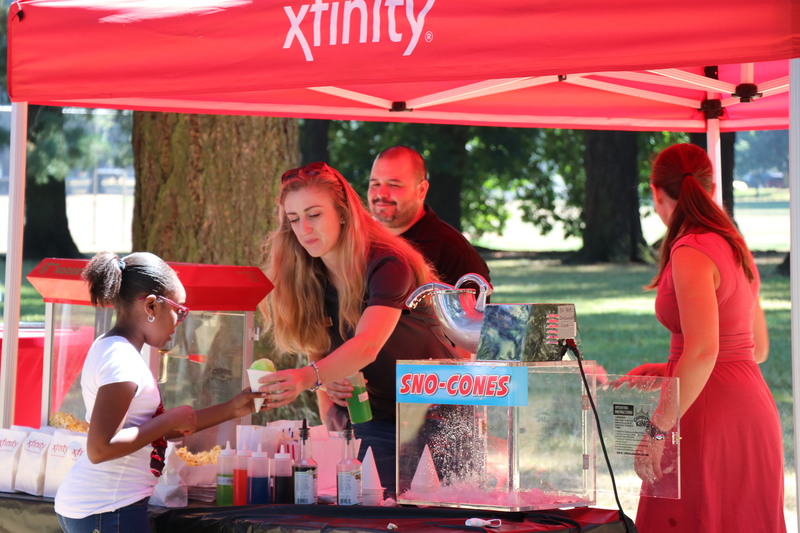 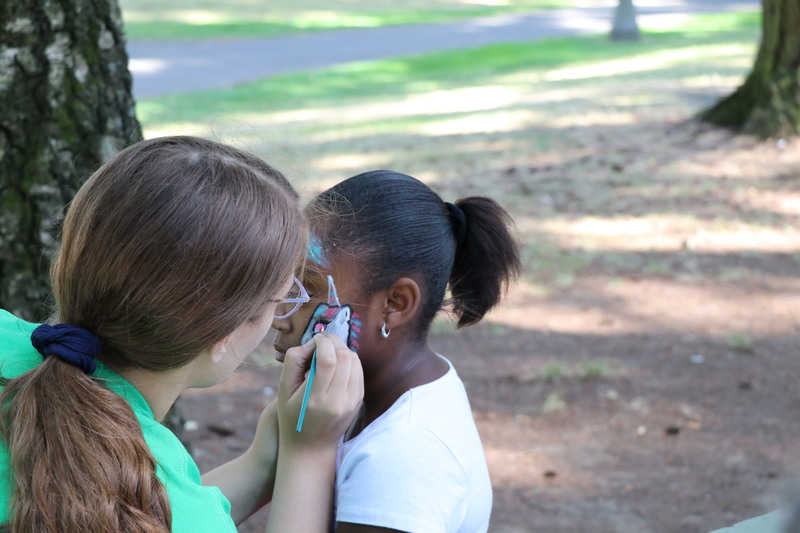 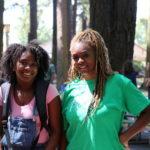 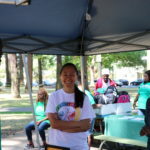 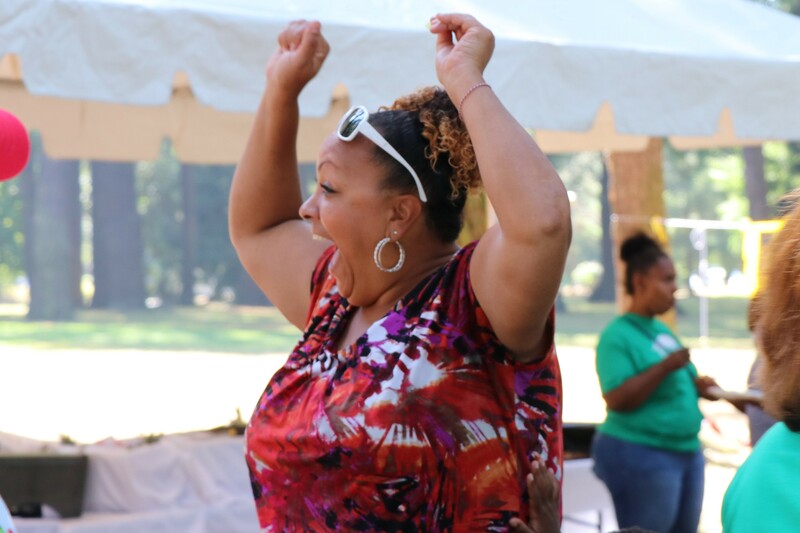 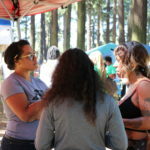 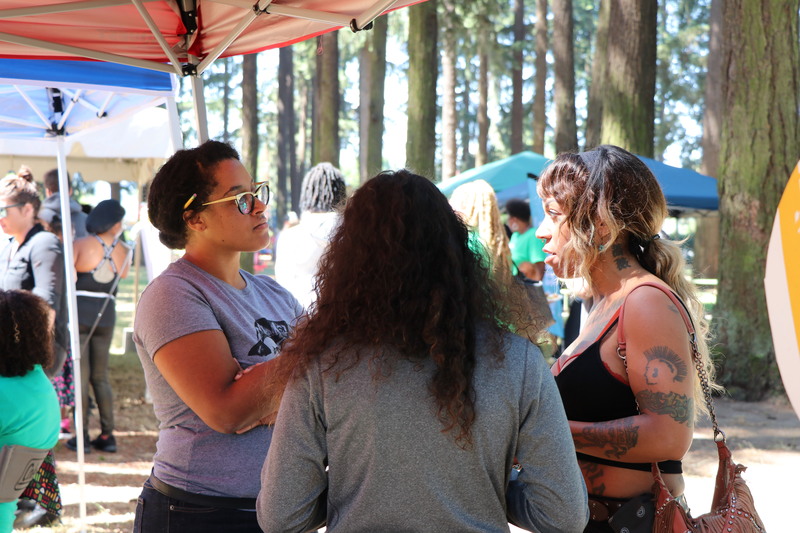 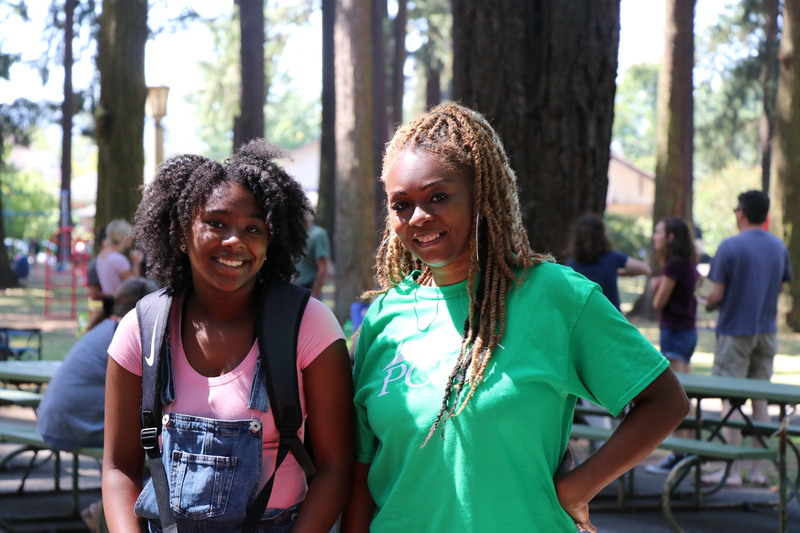 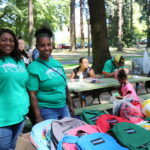 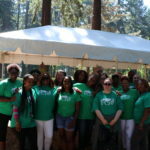 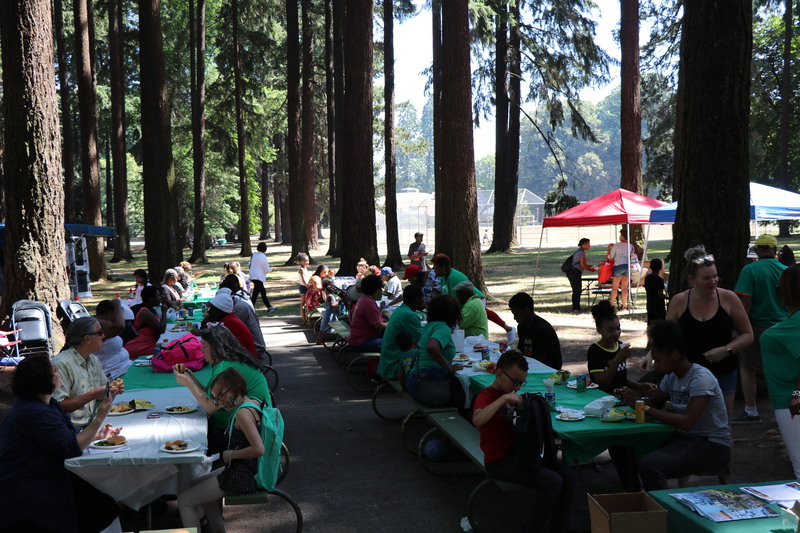 PCRI Hosts ‘Awesome’ Resident Appreciation Event - Portland Community Reinvestment Initiatives Inc.
PCRI hosted its second-annual Resident Appreciation and Back to School event on August 18 at Columbia Park. 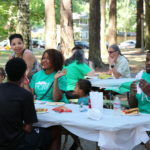 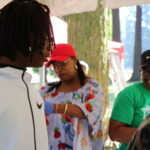 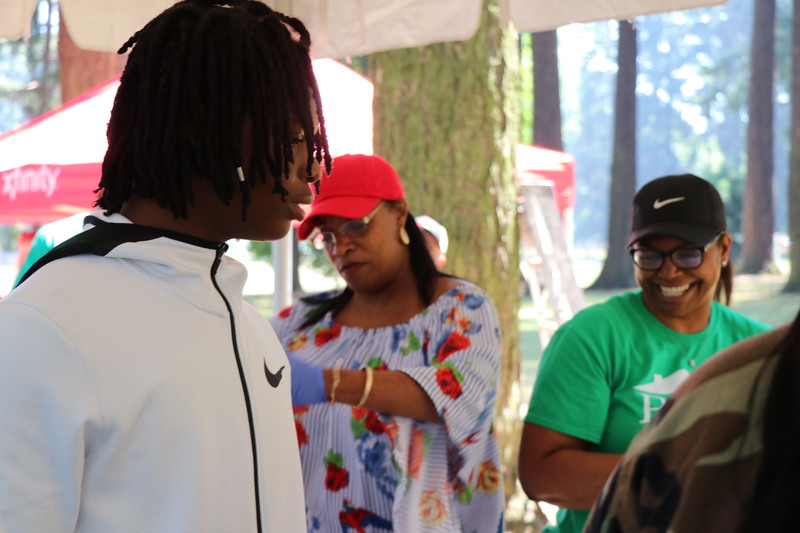 In addition to a cook-out hosted by NW Natural with burgers, hot dogs and other food, the event offered a variety of fun events, games, face painting and a raffle. 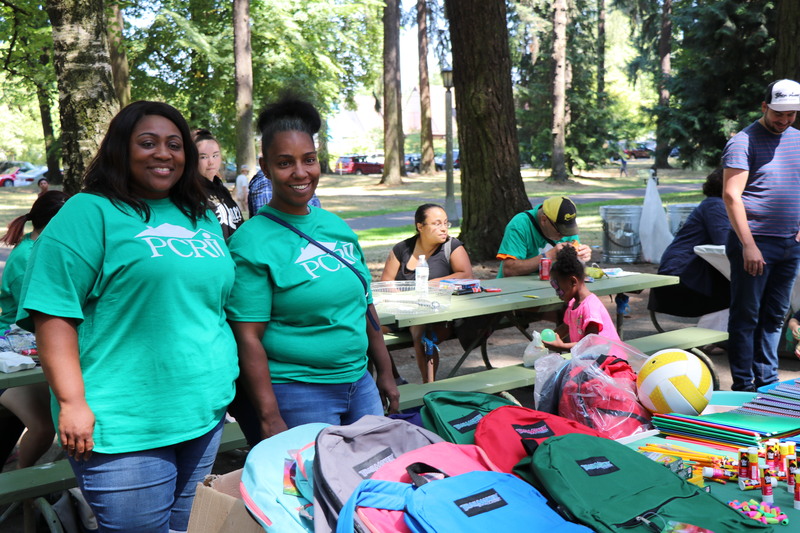 PCRI staff also distributed backpacks and school supplies. 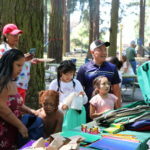 Cash prizes in the raffle were especially appreciated by residents who attended. 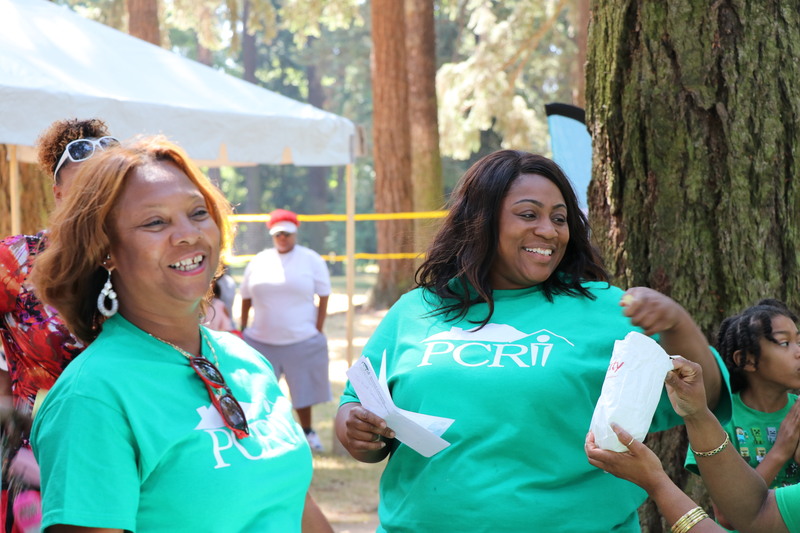 A resident shows her excitement after winning a raffle prize at PCRI’s August Resident Appreciation event. 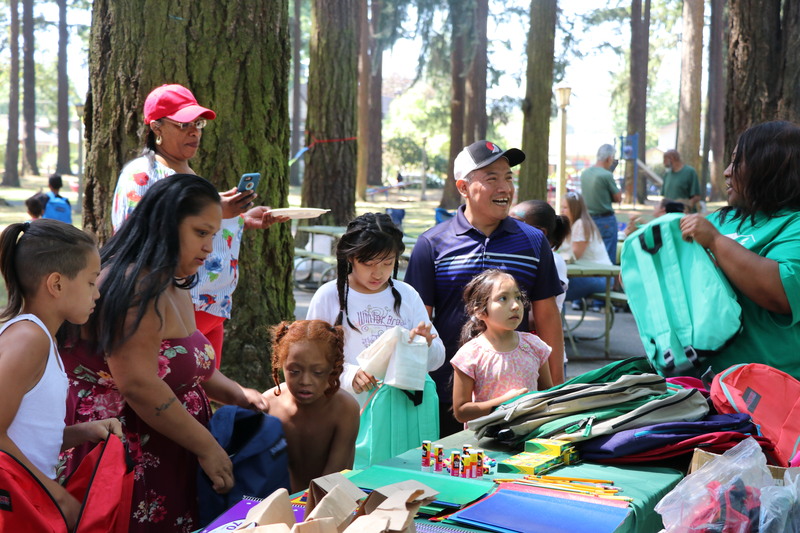 Community partners, such as the City of Portland and Comcast, joined the event as well, with give aways of their own and information about programs and special pricing available to PCRI residents and other lower-income families. 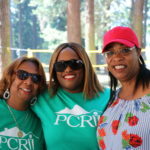 PCRI staff benefit from the event, too. 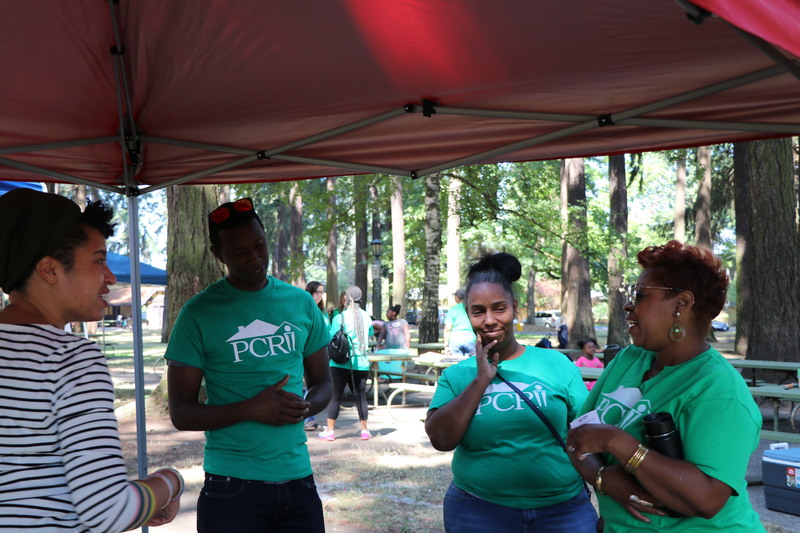 The event allows staff to hear directly from residents about what services and support residents would like to see and what services we’re providing that are most valuable. 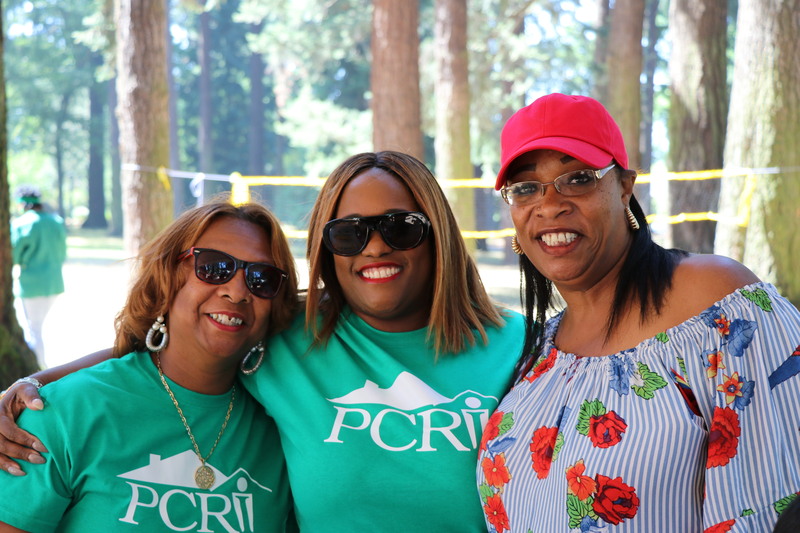 The event is also an opportunity to share information about current and upcoming PCRI initiatives, resident service programs, and services available to residents and community members. 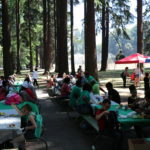 Click on any of the images below to view a larger version.